In a so-far unrelated story, Last Order escapes the taxi, only to be retrieved by Uiharu. 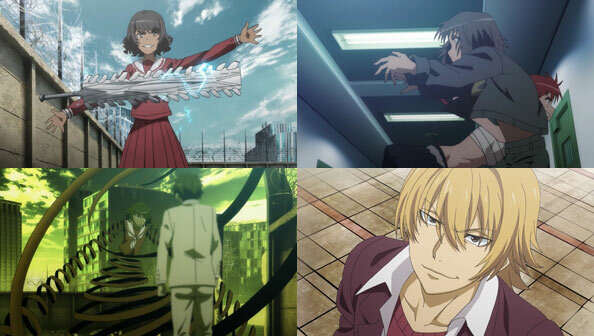 GROUP’s Accelerator and SCHOOL’s Kakine Teitoku are both attacked by members of, er, MEMBER, but both of them win easily as their opponents grossly underestimate their power. Meanwhile, BLOCK prepare to execute the next phase of their plan, unaware that one of their members is really GROUP’s Etzali. Their plan involves breaching the city wall to allow five thousand of their armed mercenaries to storm in, but Etzali throws an Aztec wrench into their plans, and then a fleet of helicopter drones make quick work of most of their army. 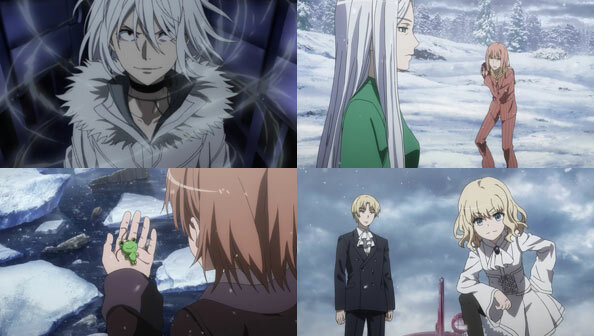 Tsuchimikado and Musujime get more intel about BLOCK’s plans, which lead them to the Reformary. There, Etzali meets an old comrade in Xochitl, who only joined MEMBER in order to gain the opportunity to fight and kill him for betraying their organzation (the South American one, not MEMBER). Xochitl comes with a full head of steam, but her choice of weapon – an aztec sword that isn’t metal, can’t cut through bone, enabling Etzali to use his arm to block without totally losing that arm, and knocking her down. Tsuchimikado and Musujime get beaten up by BLOCK’s right-hand woman Teshio Megumi, but Musujime regroups and despite accidentally teleporting her feet and ankles into the floor, manages to get the upper hand on Teshio. Outside, Xochitl begins to unravel as if her body were an unfurling bandage, as she used a grimoire to transform her body into a living weapon, and it’s now at its limit. Etzali intends to keep her from dying, but we don’t see the result of that as he meets up with the other members of GROUP inside. Finally, Kakine Teitoku, having easily defeated the MEMBER member who attacked him, beats the location of ITEM’s hideout out of Frenda, and heads over there, likely to do more damage to that group. In short, a lot of groups got tangled up this week, and a lot happened, but Crowley and Academy City are still safe…for the moment. 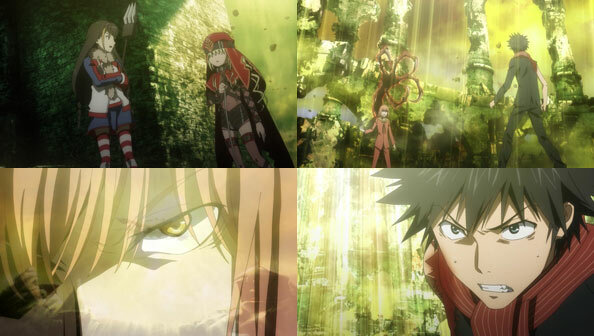 To Aru Majutsu no Index III – 04 – Items, Groups and Schools, Oh My! 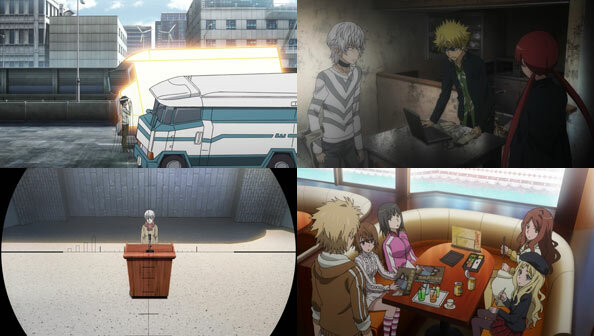 Index shifts from Avignon to Academy City, and the only character from that previous mini-arc who appears here is Tsuchimikado, carrying out his duties as a member of the anti-underworld group, er…GROUP. Other members include the teleporter Musujime, the skin-changing Unabara (at least I think he’s aligned with them), and Accelerator, who still thinks everything’s a big drag but still does his job when told. 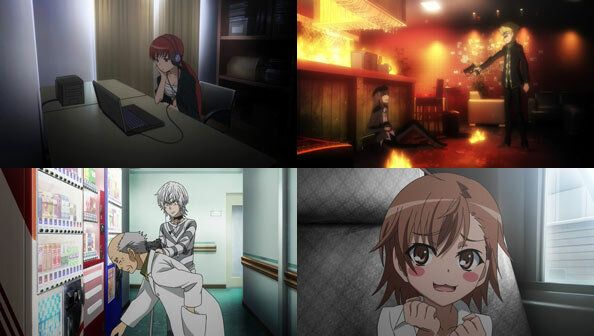 For all you Index junkies out there we also get cameos from Heaven Canceller and Last Order. GROUP’s latest mission is to follow a series of actions by another group that calls itself SCHOOL, led by 2nd-ranked Level 5 Kakine Teitoku. 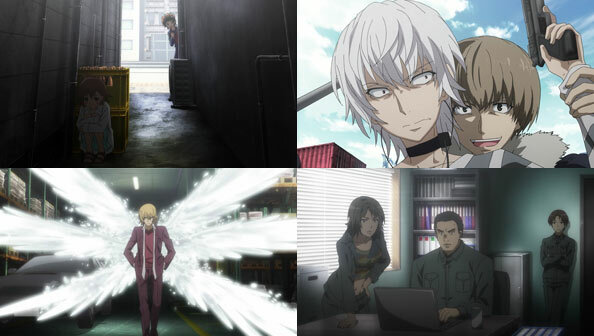 They carry out an attempted assassination on Oyafune (the woman Tsuchimikado himself shot a couple episodes back; woman can’t catch a break) but Accelerator and Musujime create a diversionary explosion that foils the hit. However, even the attempt helps SCHOOL, as it throws citywide security preparations into disarray, which is what they really wanted (Oyafune is a little fish in a big pond). GROUP isn’t the only group after SCHOOL; Mugino Shizuri’s ITEM is following their movements as well. SCHOOL then proceed to crack a school district computer virus archive, then gain access to the satellite control center…which would enable them to use the orbital lasers. Not good! Kakine mentions his ultimate goal is to get to (Academy City administrator) Aleister Crowley. 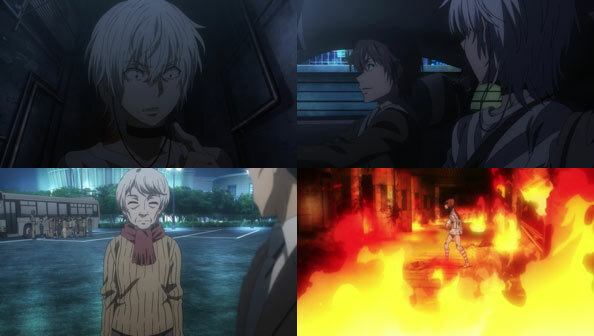 GROUP and the wounded ITEM seem always at least a step behind, but Accelerator hijacks a passing car to head to the center and…take care of business. 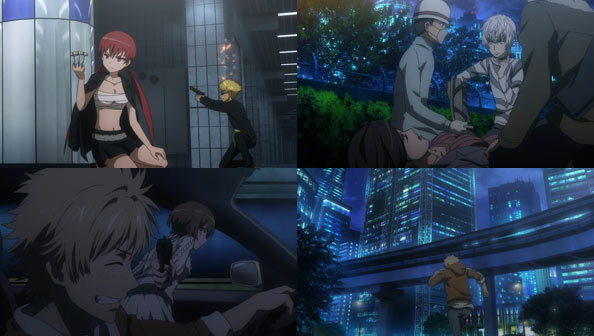 There’s a lot of names, groups and terms to remember, but most of them were in previous iterations of Raildex, so there’s still a thread of familiarity running through the episode. 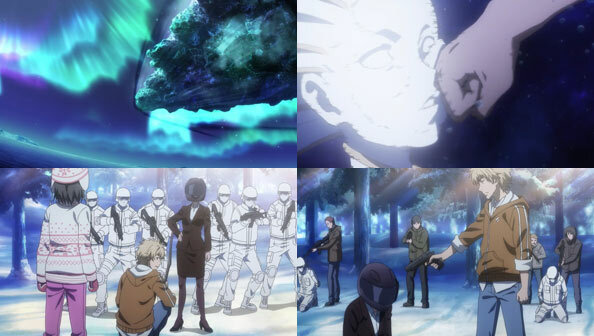 It’s also neat to see the very active Academy City underworld in action, and to see how relatively clueless an official law enforcement officer like Yomikawa Aiho is to what’s going on. 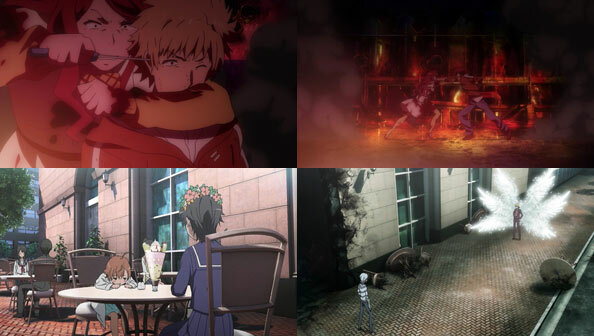 Author magicalchurlsukuiPosted on Fri, 26 Oct 2018 Categories Anime Reviews, Fall 2018, To Aru Majutsu no Index IIITags academy city, accelerator, assassination attempt, everyman, frenda, group, hamazura shiage, ITEM, kakine teitoku, last order, mugino shizuri, musujime, plot, school, tsuchimikado, underworld1 Comment on To Aru Majutsu no Index III – 04 – Items, Groups and Schools, Oh My! During a lull in the fighting, Mikoto notices that Frenda didn’t clean up all of her bombs before leaving, so when she confronts Mugino, she has an army of dolls she can control with magnetism. Mugino destroys most of them by her refracting beam with silicon chips, and reveals that she’s the Meltdowner, fourth-strongest esper. 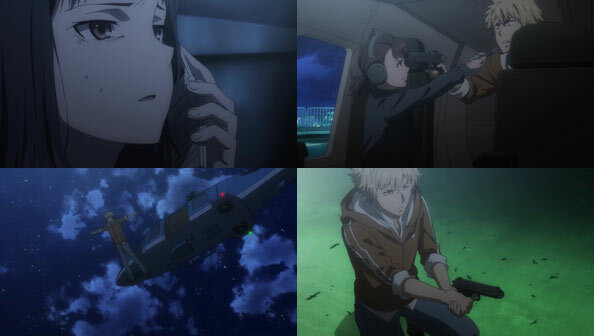 One doll smacks her in the head, and while she’s out, Mikoto heads to the command center and destroys the remaining equipment, completing her mission. 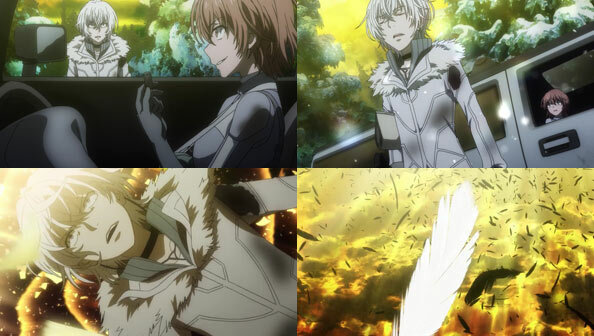 Mugino wakes up and their fight continues, until Mikoto lures her onto a catwalk above a large pit and uses Frenda’s explosive tape to send her falling. 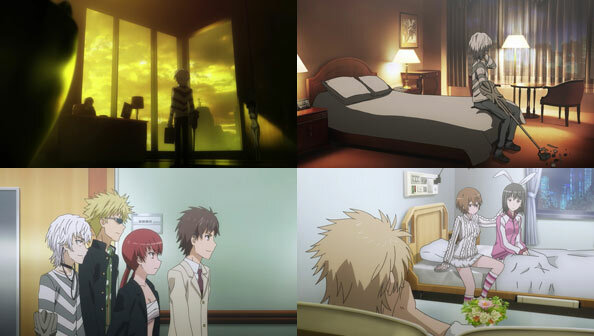 Mikoto escapes and spends the night in a hotel. The news says the company she was attacking has declared bankruptcy. Then she bumps into Kamijou Touma. Once we learn that Mugino is the fourth-strongest esper in Academy City, we knew Mikoto was going to have a hard time staying alive, let alone defeating her far less-winded opponent. If what Mugino says is true, the rankings are somewhat arbitrary anyway, so for all Mikoto knows, she’s actually less powerful or evenly-matched. That means a direct attack won’t work; she has to think outside the box. Her saving grace is Frenda’s carelessness in leaving behind so much material Mikoto can use against Mugino. This diminishes (if not outright cancels out) all of the cunning and ingenuity she demonstrated whilst softening Mikoto up for her boss. But while it was a case of Villains Acting Stupidly, in her defense she didn’t expect to be so quickly dismissed by said boss. 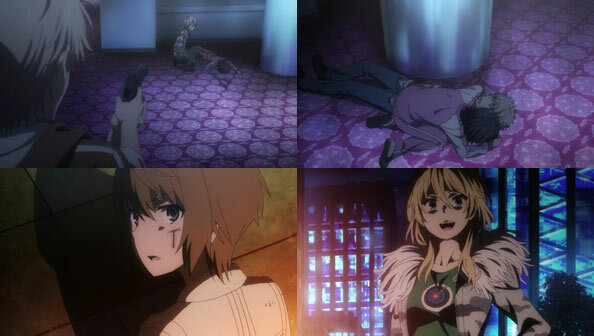 As we predicted last week, going it alone against even a wounded Mikoto was a bad choice on Mugino’s part. 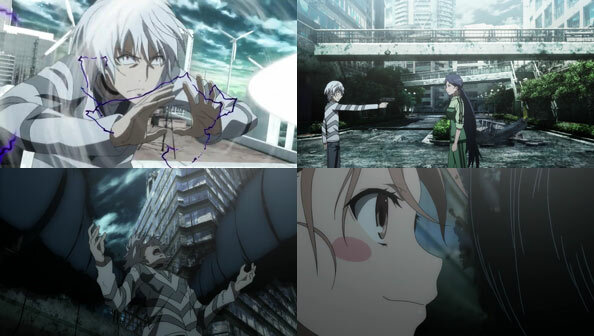 She allowed her pride and desire to be seen as someone who defeated the Railgun in a fair fight drive her judgment, and while up to this point ITEM was is complete control of the situation, her selfish decision combined with Frenda’s goof-up led to Railgun escaping their clutches and living to fight another day (we like how Mikoto extended a lifeline to Mugino at the last minute, only to have it swiped away.) The next morning after visiting the last facility, which is abandoned and inoperative, she reads that headline and thinks for a second that it might be over. But nothing’s over. There’s still darkness in the city that must be rooted out. The odds may never be in Mikoto’s favor, but she won’t stop moving forward. Mugino clearly resents the fact that a uppity, puny little girl is ranked higher than her. Mikoto uses her vanity against her by calling her an old hag in turn. 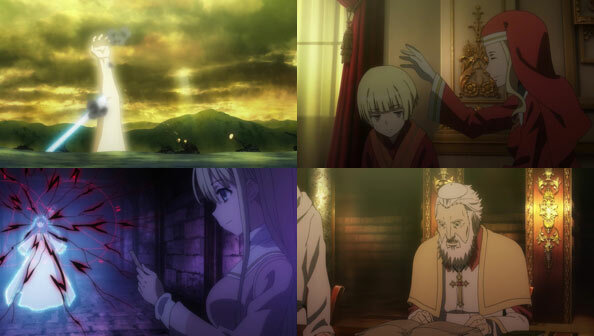 While Frenda told Mikoto she couldn’t care less about the morals of her client, Mugino decides to learn more about the project they’re working on, and learns something even we might not know. The Level 5/4 duo of Mugino Shizuri and Takisubo Rikou relieve Frenda. 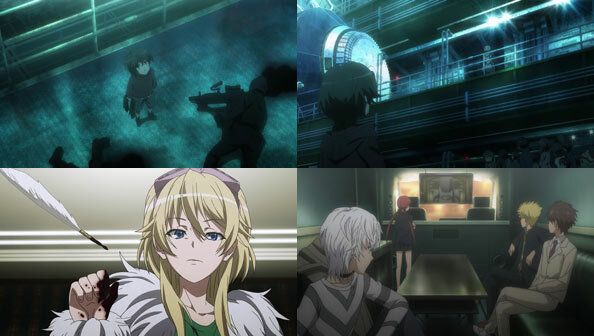 Mikoto flees, but Takisubo uses AIM Stalker to locate her as Mugino sends Meltdowner beam attacks her way. The chase gradually wears Mikoto down. Meanwhile, Nunotaba aims to install emotions into the clones, so they might fight for their lives. 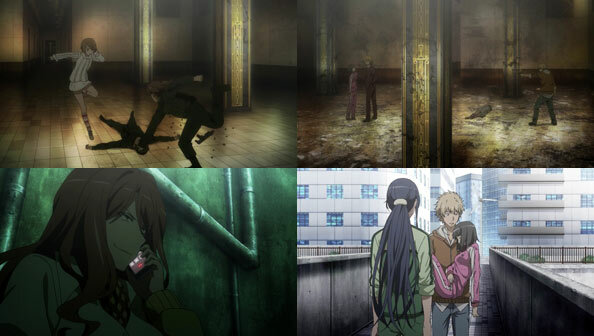 She is thwarted by Kinuhata Saiai who was guarding the other lab in case Mikoto was only a diversion. 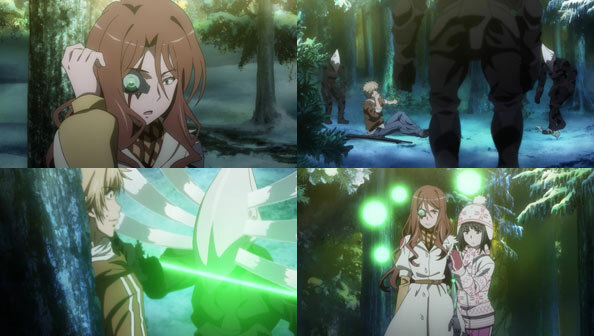 When Mikoto deflects Mugino’s Meltdowner, Mugino realizes that her target could only be Tokiwadai’s Railgun. This has been a rough couple of weeks for poor Miss “Clean Up My Own Messes Made Inadvertently When I Was A Toddler.” Just when she had Frenda where she wanted her, Frenda’s stronger, more tenacious, esper comrades arrive and make life a living hell for Mikoto. She seriously can’t stop to catch her breath, lest she get blasted into dust by Mugino. 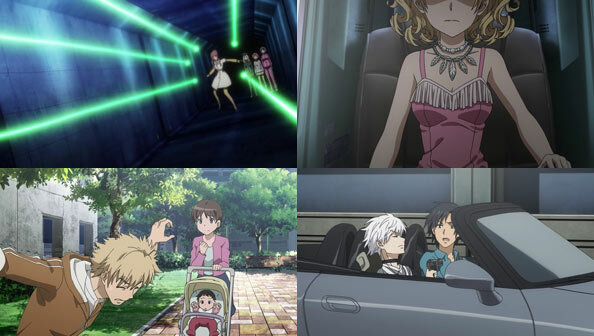 And just when we thought all of the Railgun’s suffering wouldn’t be in vain because Shinobu is at the other facility, making her move, Shinobu is also thwarted. Her plans to give all of the Sisters emotions apparently fails…but maybe not all the way. Aside from that one glimmer of hope, the bad guys run this episode. Which is okay; the entire franchise has always had a problem with idiotic, over-boasting adult villains, and it’s good that this ITEM group is not only extremely confident, but also relatively likable. 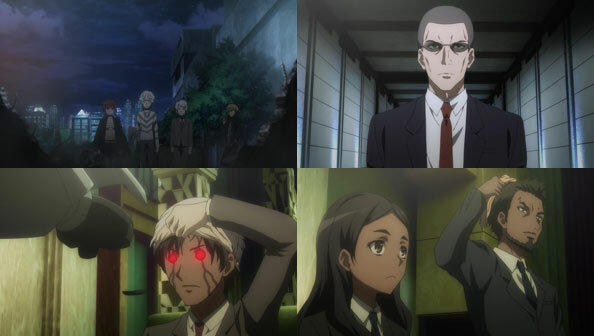 They’re all so different, they won’t be easily caught off guard at the same time, and what’s more, even if Mikoto is a stronger esper than all of them, it’s still four-against-one…at least until the end, when Mugino perhaps makes her first mistake: deciding to go one-on-one against a winded Mikoto. Shinobu knows her limitations and is aware of the possibility the Level 6 program will never be totally defeated…but she still decides to do what she can for the clones, as she couldn’t ignore the glimmer of emotion she felt from one. Esper breakdown: Mugino has a lightning-esque Meltdowner ability; Takisubo has the AIM Stalker tracking ability, but only when she takes a drug that sends her into overload; and Kinuhata has super-strong bulletproof esper armor (and tries to say super in every sentence). 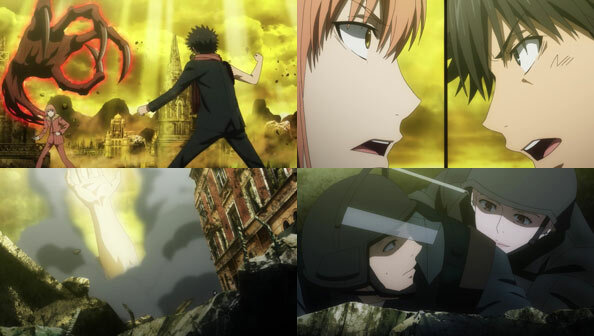 Mikoto’s goal is to destroy the facility…isn’t that exactly what’s been happening the last two weeks? Place looks pretty destroyed already to us…maybe there’s still some vital part she hasn’t gotten to yet; but as Shinobu points out, even destroying all the facilities won’t end the experiment. A group of cleaners called ITEM is hired to protect the two remaining labs running the Sisters experiments. Three of the four members stake out one lab, while the fourth, Frenda, covers the second lab on her own, hoping for a bonus. Mikoto attacks this lab, and Frenda has placed explosive booby traps everywhere. Mikoto barrels through them all and corners Frenda in a small room, and Frenda tries to stay a step ahead, but ends up on the wrong end of Mikoto’s electricity. Before she can get any info out of her, the rest of ITEM bursts through the wall to bail Frenda out. Hopefully this goes down without a hitch. Well, thankfully, it didn’t, or we wouldn’t have had a very eventful episode! Mikoto would have destroyed the last two labs, completed her mission, and, I dunno, gone underwear shopping with Kuroko or something. Instead, she has to deal with one tough customer in Frenda Seivelun, a tiny, blonde ball of energy who may not be an esper, but is a magician with both explosives, traps, hand-to-hand combat, and nearly inexhaustible supply of counterattacks, feints, and bluffs. She and Mikoto fight for most of the episode, and it’s incredibly fun to watch the more direct Mikoto constantly run into a trap, only to overcome because she’s Level 5. You get the idea that if ITEM knew that little nugget of information, they never would have split their forces. 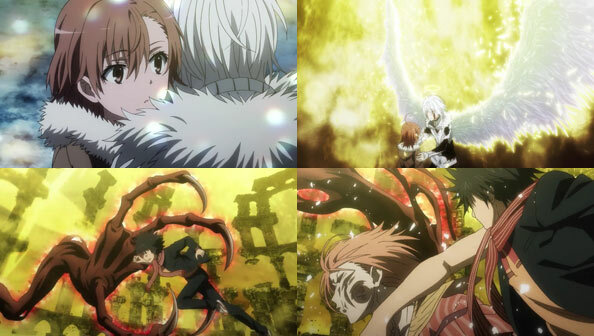 But even so, Mikoto takes a beating before getting the upper hand. ITEM breakdown: the leader is Mugino Shizuri, voiced by Koshimizu Ami (AKA Holo/Maou), who is an esper. Her three underlings are Frenda (a very florid Uchida Maaya), Kinuhata Saiai (Akasaki Chinatsu), and Takitsubo Rikou (Suzaki Aya). It’s a nice mix of voices we know well, and they’re all good additions to the cast. 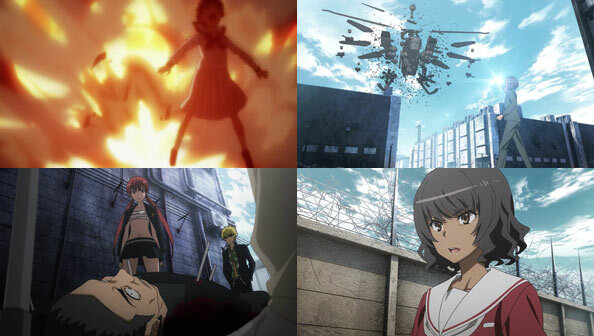 Great battle action this week, something Railgun does better than random slice-of-life, IMO (not to say they’re bad at SoL; Mikoto’s day with MISAKA was wonderful). While Maaya’s voice is a bit grating at times, she gets a few deliciously dark and evil things to say to Mikoto as they duel. About that ally: the next-ep preview makes it plain, but Nunotaba Shinobu is tired of sitting on the sidelines. She pays a visit to the other lab, and while Mikoto distracts ITEM and the lab admins, she’ll be doing her part to stop the experiments and help Mikoto.